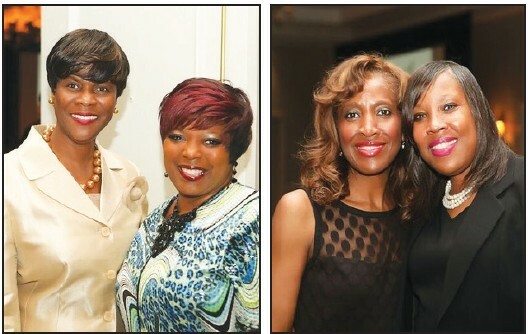 The Annual Savannah Chatham County Public Schools Teacher of the Year Gala was held Friday, February 23, 2018, at the Westin Savannah Harbor Golf Resort & Spa. 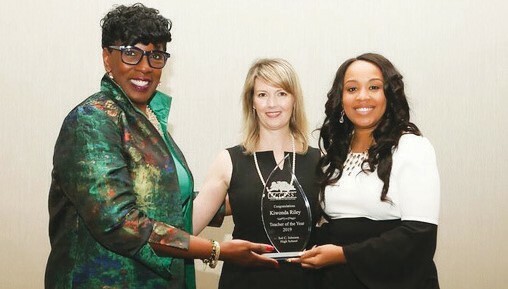 Fifty-five teachers were honored from nearly every school in the District and Kiwonda Riley of Johnson High School was named the 2019 Teacher of the Year. As a representative of the many quality teachers across the Savannah-Chatham County Public School System, the District’s Teacher of the Year is honored with the distinction of having the Flag of Learning and Liberty proudly displayed at their school. In addition to leading the SCCPSS Professional Senate for Savannah Chatham educators, the District Teacher of the Year acts an ambassador visiting local schools throughout the year, taking part in school board meetings and representing the district at various events throughout the area. Kiwonda Riley will also continue for consideration in the state-level Teacher of the Year program. Kiwonda Riley holds a Bachelor’s degree in Professional English from South Carolina State University, as well as a Master’s degree in Secondary Education from Armstrong Atlantic State University. She currently teaches International Baccalaureate English and Dance Years 1 and 2 at Sol C. Johnson High School where she is head coach for the Symphony of Sol Marching Band Dance Team. Ms. Riley also serves as a mentor teacher for the Savannah-Chatham County Public School System’s THRIVE program for new teachers.